On October 20, NYU Washington, DC welcomed Iranian muralist, Mehdi Ghadyanloo, in conversation with Andy Shallal, Iraqi-American activist and owner of Busboys and Poets. The NYU Washington, DC Salon Series: Conversations with Writers & Artists offers an opportunity for the NYU and Washington, DC community to meet and engage in dialogue with acclaimed writers and artists as they reflect on their craft. This program provides facilitated conversations that aim to illuminate the guests’ creative processes, discuss their current works, and explain the impact of their work on the world around us. Mehdi Ghadyanloo is a visual artist from Tehran, Iran. 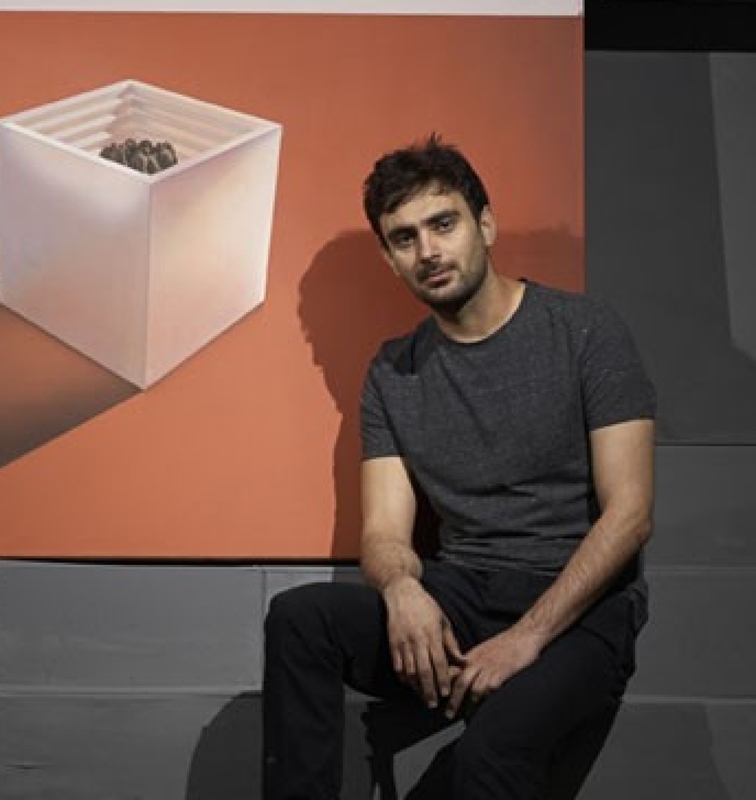 Born in Karaj, Iran in 1981, Ghadyanloo worked as a farmer before moving to Tehran in 1999 to study Painting at the University of Tehran’s faculty of Fine Arts. After studying painting for three years, Ghadyanloo went on to study for an MA in Animation at Tarbiat Modares University. Combining these two disciplines with his own unique style, Ghadyanloo went on to become one of the most famous mural painters in Iran, painting more than 100 wall murals in Tehran. Growing up during the Iran-Iraq war, Ghadyanloo remembers the conflict as a ubiquituous feature of his childhood; hard years in which he recalls following war news on the television, waiting in long lines for fuel and bread. As Ghadyanloo says, he felt the war was an important part of his generation, leaving a lasting impact on people’s lives and minds. For the past eight years, Ghadyanloo has been involved in the Municipality of Tehran’s Beautification Scheme, a committee set up to help promote mural art in the city. A growing megalopolis, Tehran is an architectural mishmash in which semi modern and classical buildings sit side by side, often faced with widely varying materials from concrete to aluminium. Interestingly, many high-rises and office buildings in the city have only one facade, with the other three left blank and grey. Practical demands mean that windows are often only installed on one side of the building, creating the perfect environment for large scale inner city murals of the type Ghadyanloo specialises in. For Ghadyanloo, the purpose of public art is to ‘beautify’ his grey and polluted city. Using bright colours on a hyper-real scale, he creates escapist, surreal dreamscapes that form part of his own fictional endless story. His imagery portrays impossible scenes and gravity defying figures from radically altered perspectives. Through the use of optical illusion, Ghadyanloo bends reality, creating works that make people stop in their tracks. His work is greatly influenced by Surrealism and Symbolism, combined with Persian figures and Iranian architecture. Using dreamy and playful motifs, Ghadyanloo aims to create his own utopia on the walls of his city. When designing a wall, Ghadyanloo carefully studies the people, culture and background of each area. Each mural reflects its surroundings, manipulating everyday life to transform the visual landscape of contemporary Tehran. Foregoing political commentary, Ghadyanloo is more interested in communication, and the dreams and imagination that people all over the world share. Alongside his artistic career, Ghadyanloo teaches Urban Art and Mural Painting at Soore Art University, Tehran. In February 2015 Howard Griffin Gallery London staged Ghadyanloo’s first solo exhibition at the Gallery entitled Perception. Later this year Howard Griffin Gallery Los Angeles will stage Mehdi Ghadaynloo’s second solo exhibition. Anas “Andy” Shallal is an Iraqi American activist, artist and social entrepreneur. He is the founder and proprietor of Busboys and Poets, an activism center and café in Washington DC, which features prominent speakers and authors and provides a venue for social and political activism. Since its inception, Busboys and Poets has become the most blogged about restaurant and gathering place in Washington DC and has become an incubator for activism and social change. 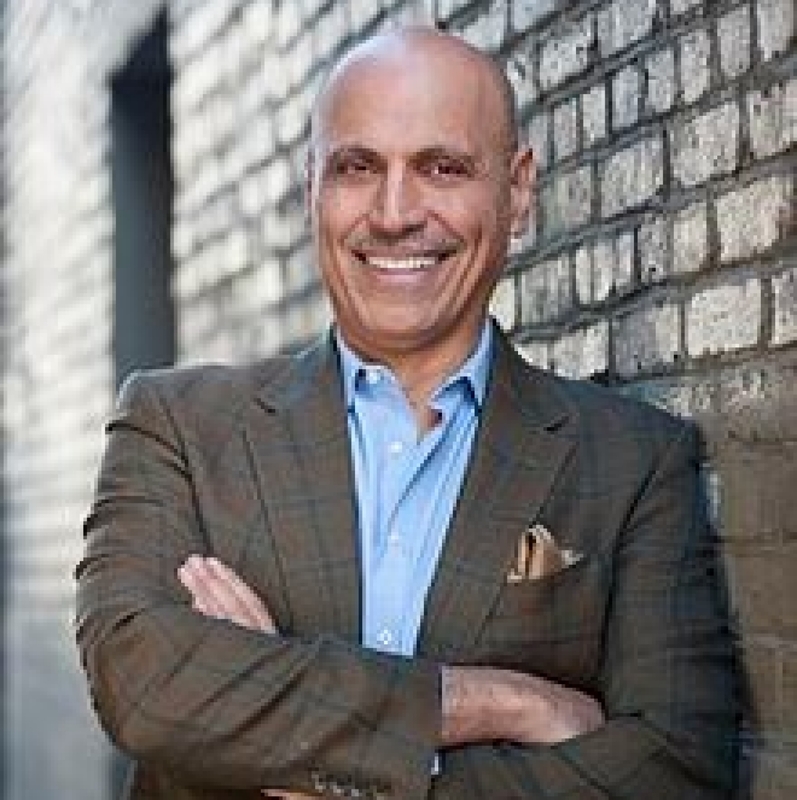 Andy Shallal is a member of the board of trustees for The Institute for Policy Studies, a liberal think tank. He also sits on several arts and philanthropic boards, including The Washington Peace Center, The Institute of Conflict Analysis and Resolution at GMU, DC Vote, Think Local First, Social Venture Network, The National Arab American Museum and Split This Rock Poetry Festival. He has been a featured speaker at several conferences and panels that deal with Iraqi as well as Israeli-Palestinian issues. He is the founder of Iraqi Americans for Peaceful Alternatives which was an ad hoc group formed prior to the invasion of Iraq in 2003. The group was instrumental in speaking out about the detrimental impact of war on ordinary Iraqis and sought to find more peaceful alternatives to change Iraq’s regime. He has appeared on major television and radio shows including CNN, MSNBC, Fox, The News Hour, NPR, and Pacifica. He has been published in various major newspapers and journals, including the Washington Post, NY Times and Christian Science Monitor. Andy Shallal is also the co founder of The Peace Cafe which promotes Arab and Jewish dialogue and improved understanding. Since its inception in 2000, the Peace Café has become the largest Arab Jewish dialogue group in the Washington metropolitan area with over 900 members. Anas Shallal has worked with the Seeds of Peace program which brings Arab and Israeli youth from the region to the United States during the summer to learn how to co exist. Andy Shallal also speaks extensively on social entrepreneurship and sustainability. As an artist Andy Shallal has worked with a variety of materials. His most recent work is political collage. His murals have been featured in many publications including the Washington Post and are displayed at Busboys and Poets, The Institute for Policy Studies and DC Vote. He is a graduate of The Catholic University of America and attended Howard University Medical School before dropping out to pursue his entrepreneurial dream. He has received numerous human rights and peace awards and is proud to be doing his part to make living on earth a bit more bearable. Founder, Iraqi Americans for Peaceful Alternatives Co-founder, The Peace Cafe Peace Fellow, Seeds of Peace Founder, Mesopotamia Cultural Society Spokesman, Education for Peace in Iraq Center Advisory Board, International Occupation Watch Center Board of Trustees Chair, Abraham’s Vision National Advisory Board, Arab American National Museum.